A large, 19th century, Mochaware jug dating from c.1860. 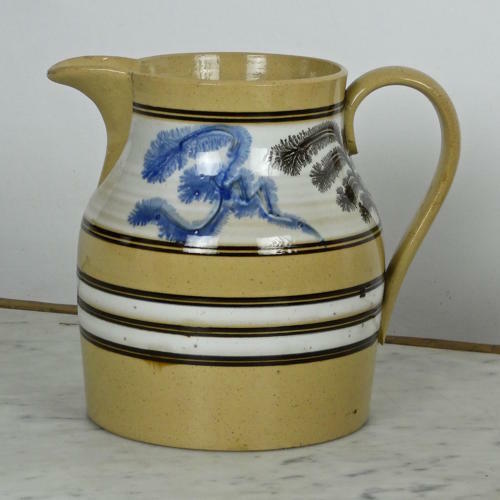 This piece has a yellow-ware body which is decorated with bands of white slip. On the wide band of white slip there is a stylised, seaweed decoration in blue and brown. The decoration is bold and attractive and the piece is in excellent condition.